Is the Eater of Worlds no more? For five years, Bray Wyatt has been a staple of WWE, whether it be on RAW or Smackdown. He's won the tag team titles on two separate occasions and is a former WWE Champion. Regardless of how you felt about his place on the card, there was no denying that the Eater of Worlds was always there and was always a fan favorite. However, it seems as though his place in the company is coming into question now with the possible retirement of his tag team partner Matt Hardy. "I’m going away now. To find myself. But when I am back, I want you all to remember things like this, that make me do the things I do." Of course, one has to wonder, what does this mean for Bray Wyatt? Is he forming a new Wyatt Family? Will we see a possible gimmick change? Personally, I would like to see a bit of the latter. The entity known as Bray Wyatt has run its course in the WWE. He's accomplished all that he can under this guise and, without a creative foil by his side, there is not much left to go off creatively. So where would I like to see this character go? Personally, I wouldn't mind if he channels early 2000's era Undertaker and goes a more realistic route. 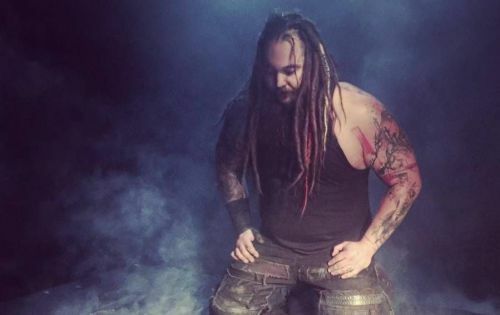 We have already seen a rather drastic aesthetic change from Wyatt over the last two years or so, with the change of pants as well as the dreadlocks. This could have served as an agent of change for Wyatt in the past, but there is now more incentive to do so. WWE can continue to keep continuity with his recent cleansing of Sister Abigail by having him be more active on Twitter, more active outside of the WWE ring with the fans. No longer will he speak in riddles or use macabre imagery. The key is for the Bray Wyatt character to go through a bout of 'normalcy'. This leaves open a wealth of opportunities for the growth of his character, as well as new and interesting interactions with the other Superstars. Imagine a family reunion between Wyatt and Bo Dallas. Pro Wrestling Real Life Stories: Episode 5 - Bray Wyatt, The Undertaker, The Rock, Braun Strowman, voodoo, reality, fiction and "pain"